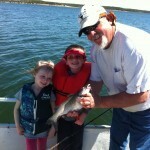 Mr. Whiskers Catfish Bait was first made in West Texas in 1986. It was born out of a need for a catfish bait that would stay on the hook and consistently catch fish. Boy does it catch fish! In 1992 we moved operations to Granbury TX. 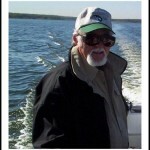 With one boat and our beloved Mr. Whiskers Catfish Bait, we began guiding catfishing trips. Over the years we have grown into multigenerational adventure, with a son and a grandson carrying on the family legacy! Combined we have over 60 years experience. We know how to find catfish!! 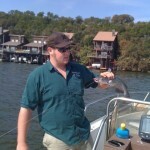 We fish four different lakes in TX. Our goal is to provide you with the best fishing trip possible. We guarantee that you will be happy with your catch or we will go fishing again. Come fish with us!